A man and a woman were found supplying unauthorised prescription medicines for the condition. A NUMBER OF court cases in Dublin today related to unauthorised prescription medicines for erectile dysfunction. The Irish Medicines Board (IMB) said that Judge John O’Neill at Court 8, Dublin District Court presided over two cases involving the unauthorised supply of medicinal products. The first case, IMB v Jacqueline Byrne; IMB v Brian O’Byrne, related to the supply of unauthorised prescription medicines for erectile dysfunction and supply of an unauthorised pharmacy-only medicine containing a local anesthetic. Jacqueline Byrne received a four-month custodial sentence, which was suspended for 12 months pending her good behaviour. Meanwhile, Brian O’Byrne was also fined €1,500. In addition, he was given a six-month custodial sentence, suspended for 12 months pending his good behaviour. The court granted a forfeiture and destruction order to the IMB in relation to the drugs. 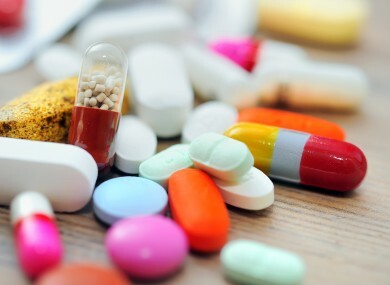 The second case, IMB v Hui Wang; IMB v WDZ Partnership Ltd, related to the advertising and supply of unauthorised prescription medicines for slimming and for erectile dysfunction. The court awarded Hui Wang the benefit of the Probation Act, provided she pay €1,500 to the Peter McVerry Trust by 9 December. The IMB said that the court was aware that Ms Wang cooperated fully and had paid to the IMB €4,300 towards the cost of analysis and destruction of the medicines involved in the investigation. WDZ Partnership Ltd was convicted of 10 charges and given a €2,000 fine. A forfeiture and destruction order was given to the IMB for all products involved in the investigation. There were 10charges brought against WDZ Partnership, including five counts of not having a prescription, three counts of not having a marketing authorisation, and one count each of advertising a prescription-only medicinal product and for advertising an unauthorised medicinal product. John Lynch, Director of Compliance at IMB, said that the prosecutions “send out a very strong message and warning to those involved in the supply of illegal medicinal products”. These products were being sold without any regard to the health of those who might take them. There can be no guarantees about their safety or quality. The IMB continues to caution members of the public against purchasing medicines from unregulated sources. There is no way for consumers to know what substances such products actually contain and consequently they can pose a serious risk to public health. The IMB, in conjunction with An Garda Síochána and the Revenue’s Customs Service, monitors and investigates instances of illegal supply of medicinal products. Email “Unauthorised erectile dysfunction medicine leads to two court cases”. Feedback on “Unauthorised erectile dysfunction medicine leads to two court cases”.